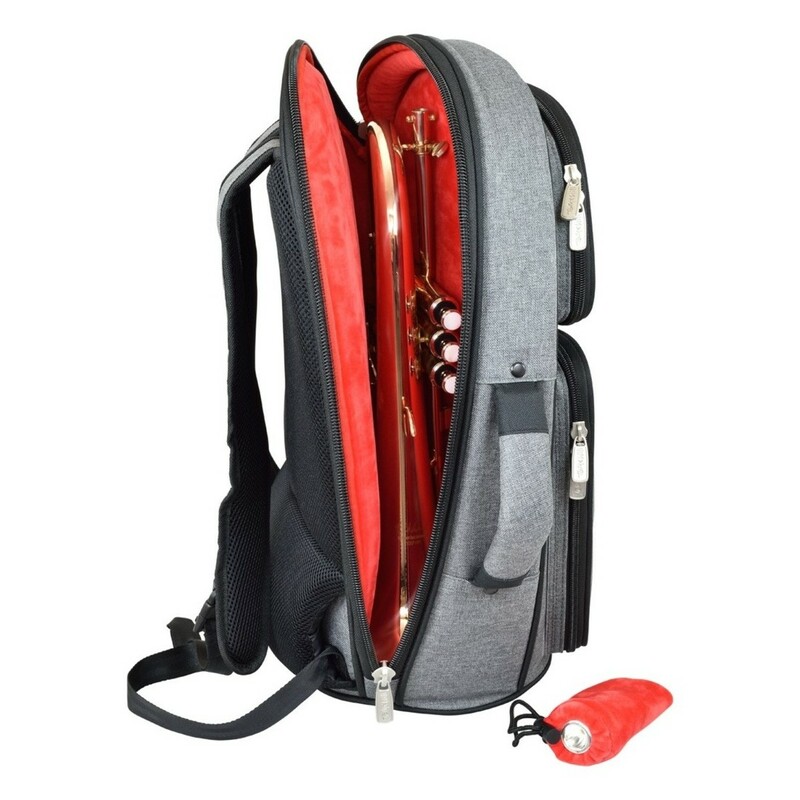 The Tom and Will 26FGH Flugel Horn Gig Bag features a grey canvas fabric with red interior lining. 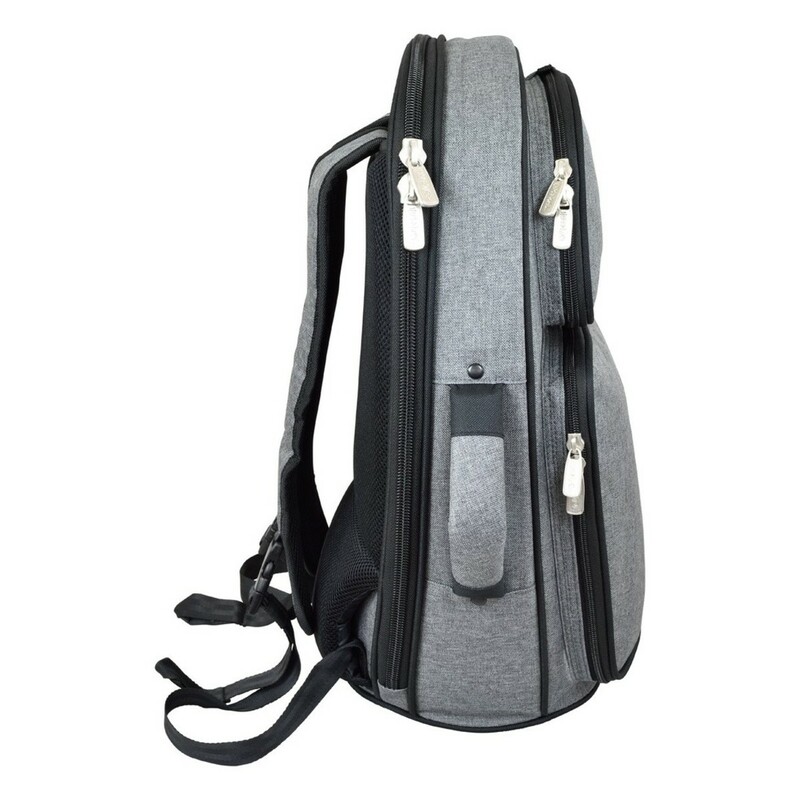 Tom and Will's 26 series brass bags are made with the best quality high density padding, helping to protect the instrument during travel. 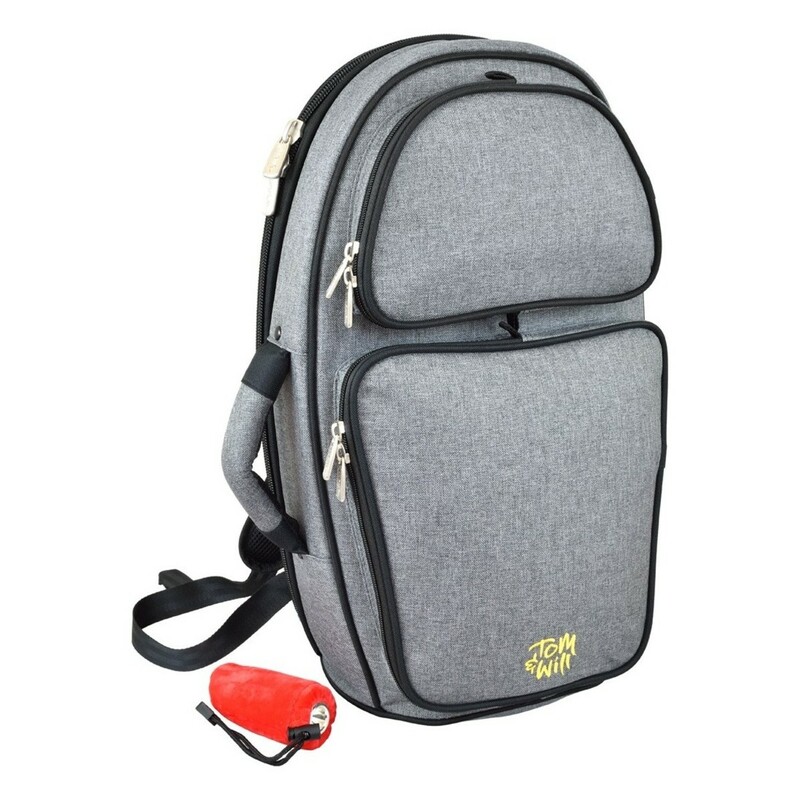 Featuring a soft interior lining, this case also prevents against scratches. To further prevent damage Tom and Will has included an additional accessory pouch to organise loose items. The lightweight bag comes with a new TWD crossover zip opening, guaranteed to last a lifetime. 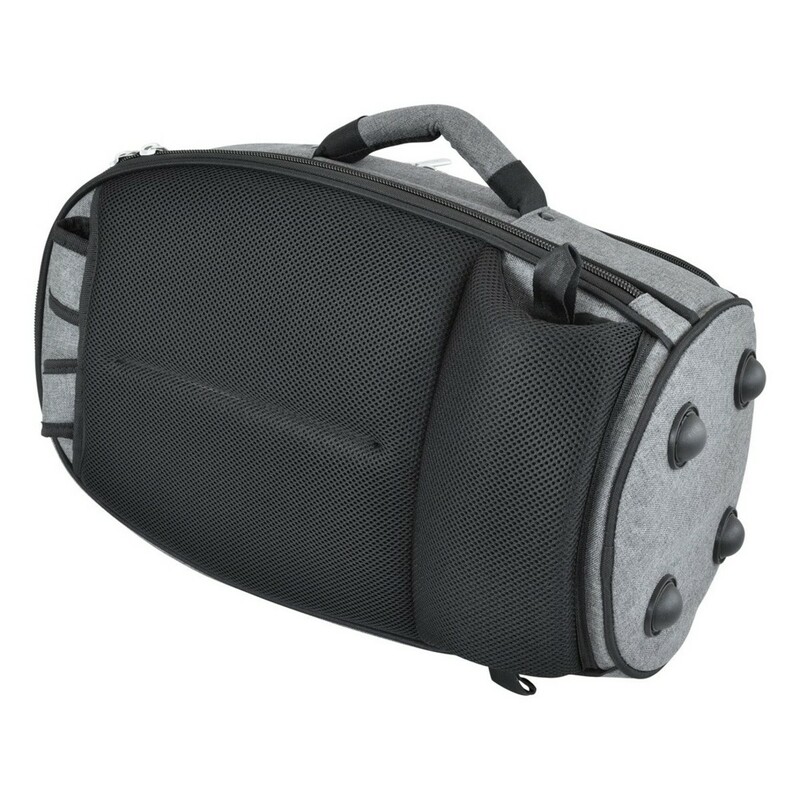 All straps and handles on the 26FGH case are riveted as well as cross stitched with high tensile threads. 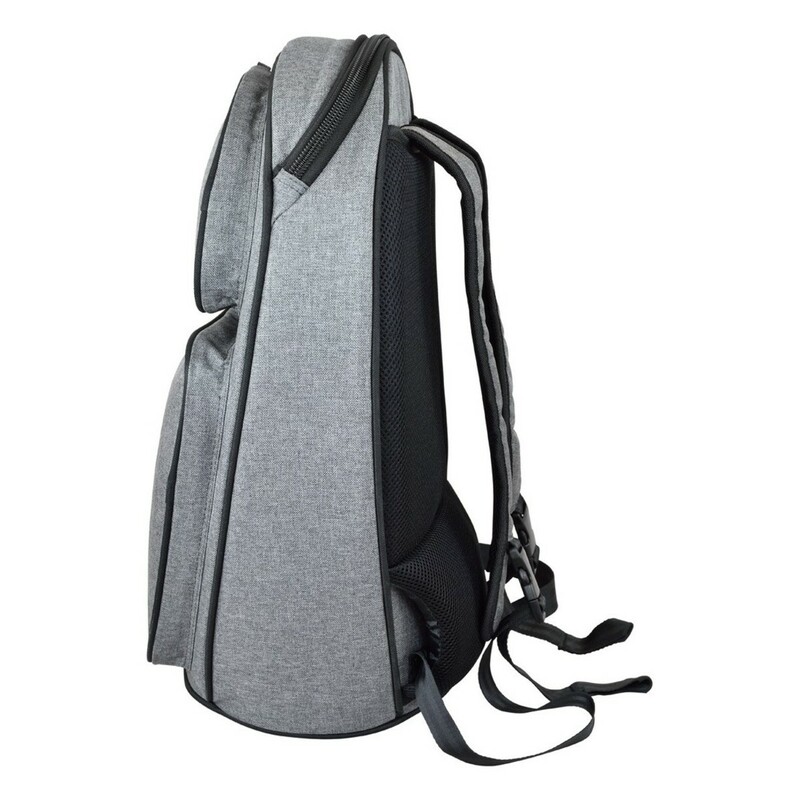 The new hideaway backpack and shoulder strap carrying system is designed to make the bag more accessible to all players. Simply pick the most convenient for each trip then enjoy the comfort. 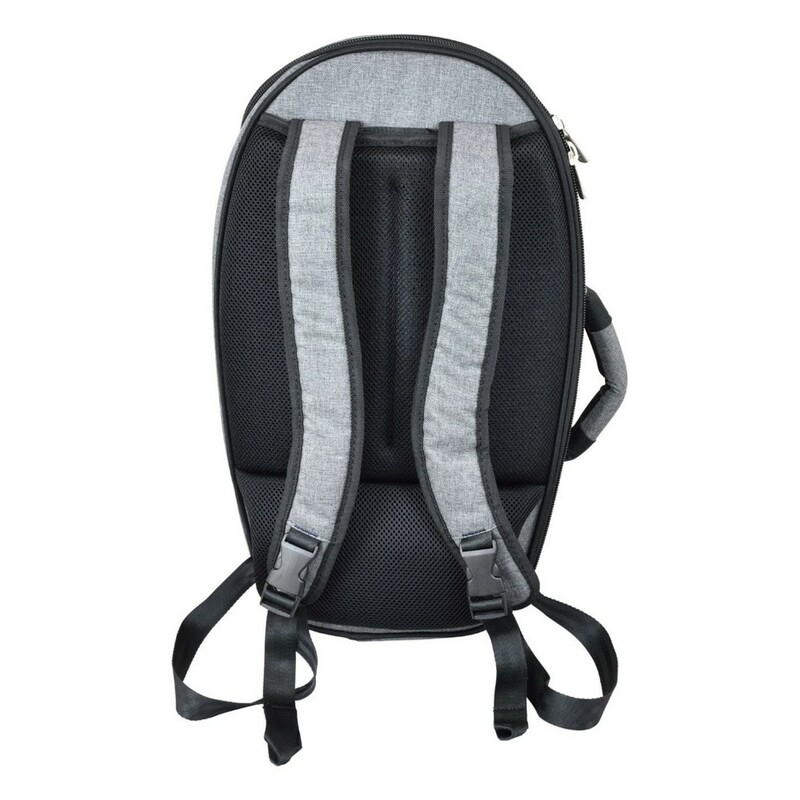 Hold the case like a ruck sack over your back, with easy tightening and loosening pull straps, or wear it over one shoulder and hide away the second strap.